We offer a wide range of manufacturing and supplying chain pulley block, available in different sizes and as per customers’ specifications. It is a simple machine with wheel and groove, in which a rope/wife is run to change the direction of force applied to the rope/wire. It is used to lift heavy loads from the docks, warehouses, go downs etc. Because of various salient features of our chain pulley block, such as efficiency, effectiveness, easiness, smoothness, cost effectiveness etc. , we are a name to reckon with in the manufacture of chain pulley block. 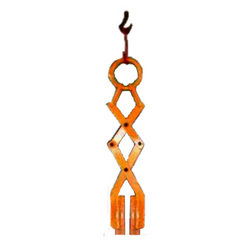 We offer a wide range of Pulley Block Double with Hooks. The products offered by us are as per latest technology, available in different size and as per customers’ specifications. Because of our enormous amount of experience in manufacturing these products, we take care of even most diminutive needs of our customers. These products are manufactured from high class raw materials. These are available at most competitive market prices and as per customers’ specifications. We are a name to reckon with in providing cost effective, most reliable and quality products to our customers. The wide range of Finished Slab Lifting Clamps offered by us is manufactured from high grade raw material bought from quality driven industry and made available as per latest technology to suit their specifications and demands. Most reliable and economical source for qualitative products and thus been a known name for offering products. We provide a wide assortment of Finished Slab Lifting Clamps which is manufactured by using premium raw material that is procured from quality driven industries. Our Finished Slab Lifting Clamps are extensively used in manufacturing industries. We manufacture premium quality rope ladder, that are produced using high quality raw materials like, aluminium, wooden or nylon materials. They are structured in round shapes as loops with hooks at each end. Designed with high precision, these are extremely useful while doing work at great heights. 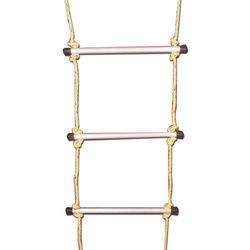 The ladders are available in varied designs and sizes, and can be improvized according to customer's requirements. 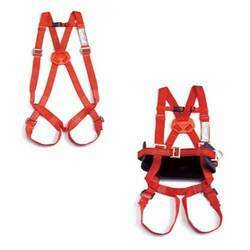 We are engaged in manufacturing and exporting a wide range of safety belts that are made of 100% polypropylene. Our range of safety belts is available in metal, polyester and nylon material with width range of 12-50 mm along with thickness. Fabricated using special weaving and premium quality of natural and synthetic fiber, these safety belts are available in various designs, dimensions, colors and patterns. Our range can also be made as per customized specifications of clients. We make sure the range of polyester round endless slings is designed using premium quality polyester yarn hank that is wound together in the form of endless sling available in protective cover sleeves. 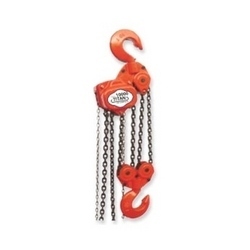 These slings are available in the lifting capacity ranging up to 200 tons. These slings are also available in color coded form for easy identification. We offer a wide range of polyester four leg slings in various sizes, end fittings and innovative designs to meet customers’ specifications and dimensions. Due to our vast experience in the manufacture of polyester four leg slings, besides cost effectiveness, use of latest technology etc. , our wide range is highly sought after by our clients. 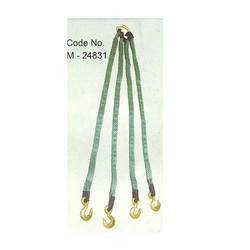 Our polyester four leg slings are used extensively for various industrial purposes. 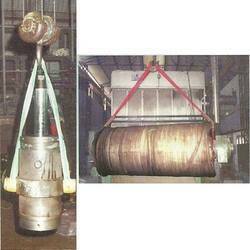 With rich industrial experience of many years, we are engaged in offering perfect solution for lifting heavy loads. 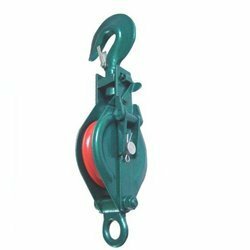 We specialize in the manufacturing of lifting equipments, lashing equipments, industrial lifting equipment, industrial lashing equipments such as webbing sling, vertical lifting clamp, round sling, ratchet lashing, bow shackle, D shackle, and polyester bag slings. 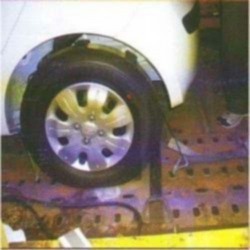 Designed in line with the leading industrial standards, round slings are deal for lifting cylinder & drum rolls, while ratchet lashings are used for tightening the material while transporting. The fair amalgamation of expertise and in-house facilities has enabled us to offer quality range that finds wide application in manufacturing industries. Adherence to ethical business practices and timely delivery has enabled us to be one of the trusted partners of our esteem clients based in India. We welcome queries for Lifting Equipment from South India region including Andhra Pradesh, Karnataka, Kerala and Tamil Nadu & cities like Bangalore, Chennai and Hyderabad.